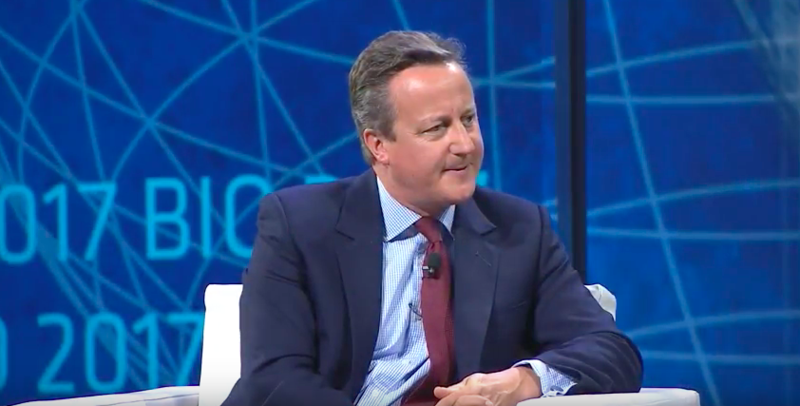 At the 2017 BIO International Convention in San Diego, CA, former British Prime Minister David Cameron revealed that Britain’s 100,000 Genomes Project was inspired by the experience he had with his son Ivan’s fatal rare disease, Ohtahara Syndrome. The 100,000 Genomes Project began in 2015 as an initiative to collect and decode 100,000 human genomes so that scientists and doctors to understand more about specific conditions–most notably, cancers and rare diseases. The project began while Cameron was serving as Prime Minister. He was instrumental in getting the project approved. Ohtahara syndrome is a progressive epileptic encephalopathy characterized by severe seizure activity that begins at a young age. The primary cause of the condition is not known, but several gene mutations have been associated with it. Ivan also had cerebral palsy, and passed away at the age of 6 years. As Cameron explains during the interview, before his son was born, he, like many people was unaware about the amount of information NOT known about rare diseases.